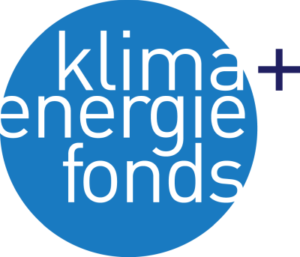 The Austrian lead project gigaTES aims at developing giga-scale storage concepts for urban districts with integrating large shares of renewables focusing on Austrian implementations. Three Austrian sites will be investigated with respect to the main challenges like construction, geology and geophysics, materials, district heating system and its operating characteristics, economic aspects, public acceptance etc. The three sites will be used as demonstration systems throughout the project. Solites contributes with experiences from realised projects with large-scale thermal energy storage in Germany and supports the simulation based optimisations and questions of system integration. Categorized and prioritized requirements, challenges and benefits of giga-scale heat storages for at least three Austrian locations representing possible archetypes. Technology concepts for large & deep storage pits within five typical construction grounds (rock/soils, with/without ground water), designs and process technologies for multilayer structures for the bottom, the wall and the cover of giga-scale TES. Novel liner, concrete and metal-sandwich materials with improved temperature capability and lifetime as well as optimized multi-functional property profiles according to the component specific requirements. Detailed 3D TES model accounting for different ground layers, ground water flow, complex geometries, and moisture transport and convection in multi-layer structures at the bottom, the wall or the cover. Simulation framework, application scenarios and operating windows for district heating systems with integrated giga-scale TES.